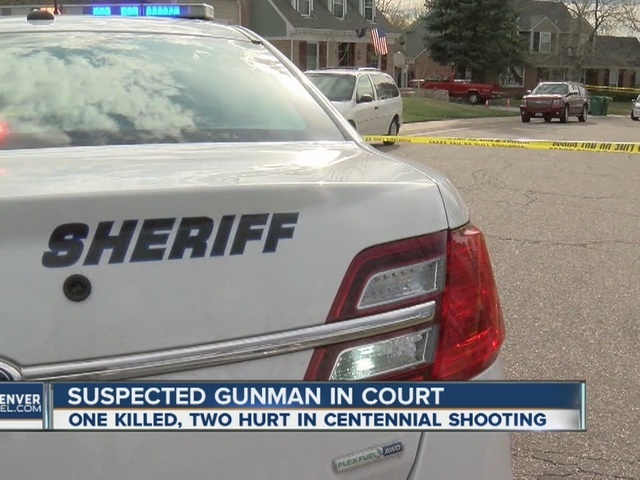 A Centennial man accused of shooting his wife and killing a doctor who tried to help her faced a judge for the first time Tuesday morning. 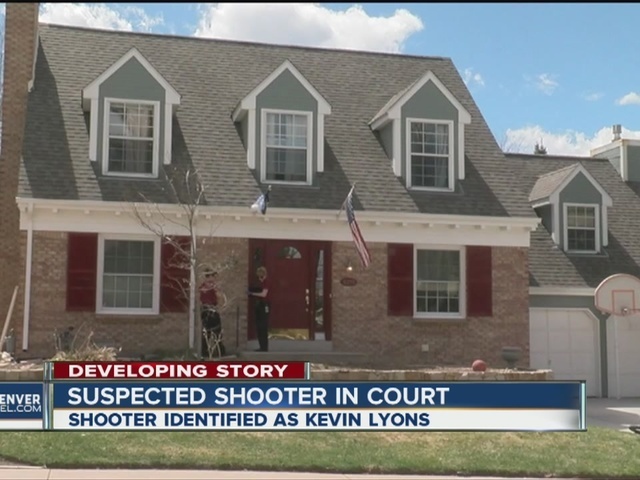 The suspect, Kevin Lyons, is also accused of shooting another neighbor during the incident. In court Tuesday, Lyons was belligerent and repeatedly interrupted Judge Carlos Samour, according to Denver7 Reporter Nicole Brady. Brady reported that Lyons told his public defender "You're not my representative bro, I don't even know you." Lyons went on to claim that he had hired "John Elway's lawyer." When the judge agreed to the prosecution's request to suppress the arrest affidavit, Lyons interrupted the proceedings again, saying he wants the information "in the press." "Get the news cameras over here," Lyons stated. The judge agreed not to rule on any other motions, at Lyons' request, and rescheduled a hearing for Friday at 10 a.m. The triple shooting occurred just after 1 p.m. Monday on East Long Circle South. When deputies and police officers arrived in the neighborhood near East Dry Creek Road and South Monaco Street, they said they found three shooting victims outside a home. Lyons was taken into custody shortly after the shooting and is being held without bond for investigation of first-degree murder. Denver7 confirmed that Dr. Kenneth Atkinson was killed in the shooting. Witnesses said Dr. Atkinson was trying to help Lyons' wife when he was shot. Dr. Atkinson's office at 8120 S. Holly St. was open for business Tuesday morning. Staff members told Denver7 that the doctor would have wanted them to keep treating their patients. Other doctors agreed to come in to help. Lyon's wife, Elizabeth Lyons, 44, and her neighbor, Laurie Juergens, 48, were hospitalized. Officials said both women are expected to make a full recovery. One witness said when a third neighbor tried to help Elizabeth Lyons, the suspect turned the gun on her and said, "Get away from my wife." That neighbor was not hurt. The Arapahoe County Sheriff's office said Kenneth Lyons will be charged with Murder in the First Degree, 3 counts of Criminal Attempt – Murder in the First Degree, 2 counts of Criminal Attempt – Murder in the First Degree of a Peace Officer, 2 counts of Assault in the First Degree and Felony Menacing.